An environmental group says California regulators are negligent in protecting the state’s groundwater amid an historic drought and shouldn’t allow new oil and gas wells in Price Canyon without the proper environmental reviews, according to a lawsuit filed on Aug. 3. 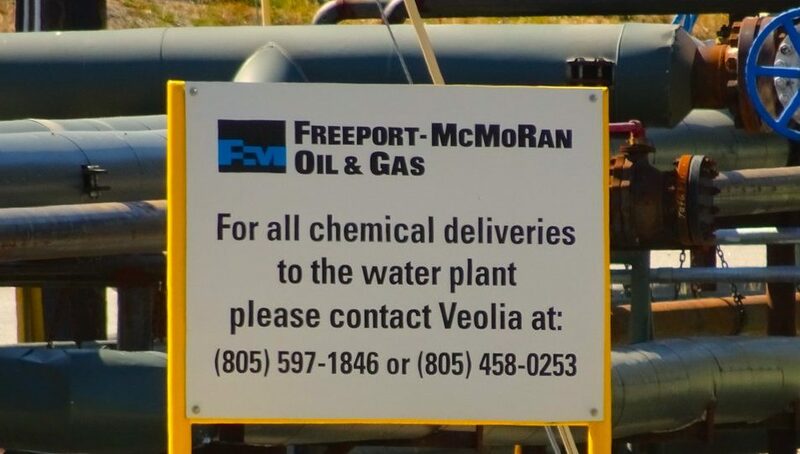 Two years ago, Freeport-McMoRan Oil and Gas applied to expand its oil fields in Price Canyon north of Pismo Beach. Freeport is seeking to expand from 400 wells on 249 acres to 850 wells on 807 acres. The proposed wells would use water-injection methods to extract oil, and then pump the remaining oil wastewater into the underlying aquifer. However, at several meetings about the expansion, neighbors voiced concerns that the additional wells could contaminate nearby water wells at a time of severe drought. Nevertheless, the California Department of Conservation, Division of Oil, Gas and Geothermal Resources and the California State Water Resources Control Board approved an exemption for the aquifer and submitted it to the U.S. Environmental Protection Agency for final approval. “The department did not conduct environmental review under the California Environmental Quality Act prior to determining that the aquifer could be polluted by oil and gas wastewater and other fluids, and submitting the aquifer exemption to EPA for final approval,” the complaint says. According to the suit, state regulators did not abide by CEQA before submitting the exemption application to the EPA. The environmental group is asking the court to set aside the state’s approval. What do we want in Price Canyon…more Housing Tracks or more Oil Wells? I’ll take Oil Wells any day. The oil at Price Canyon is low grade, and harder to refine than good oil like Libyan Sweet Crude. With the oil market volatile and the price per barrel at historic lows, one has to wonder if the expansion of the Price Canyon oil field is economically feasible in the long term. Don’t believe me? Go to the Alberta Tar Sands or the North Dakota Bakken Shale Formation where the booms went bust. It would be very interesting to view these 800 wells and 800 acres in the context of the total number of wells and acreage in Price Canyon and Edna. I suspect it’s significant. We’re starting to hear reports of wells drying up in the area. The exemption was granted on the pretext that water and oil don’t mix in the domestic and ag aquifers, but there are examples from the Mesa to Edna of oil contamination of wells, of oil appearing next to domestic wells, and of contamination, as deep drilling punctures the different aquifer levels. Over the past year the Board of Supervisors has heard at least two cases of contaminated aquifers in Paso, and in Los Osos where deep drilling led to cross contamination of water supplies. We have the technology to map the aquifers in this area, but it has never been done. In just a few years we will have the technology to map the flow of subsurface water. Why not do our homework before putting our residents and our ag industry at risk of permanent destruction of their supply? Leaking oil lines permanently destroyed the shallow aquifer on the Mesa in the 1980s. We can’t afford to take this risk.